Unfortunately Ventrillo client can sometimes be a pain to setup. 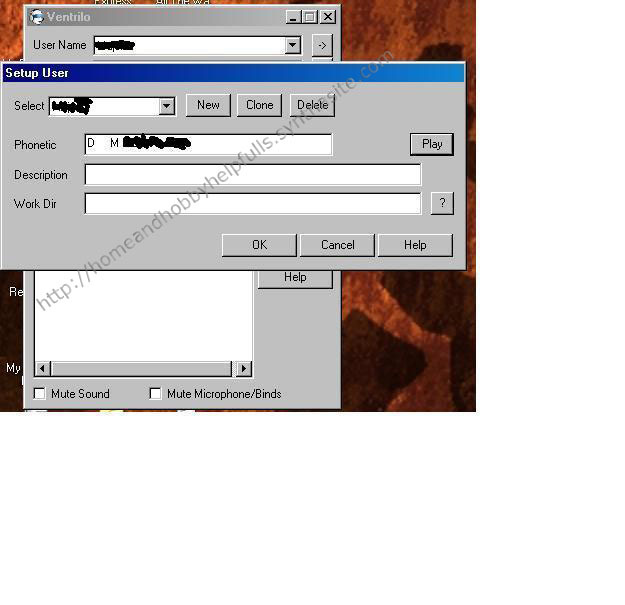 Below is what I did even with an add on sound card and works just fine along with a static adjustment in case you have a problem. 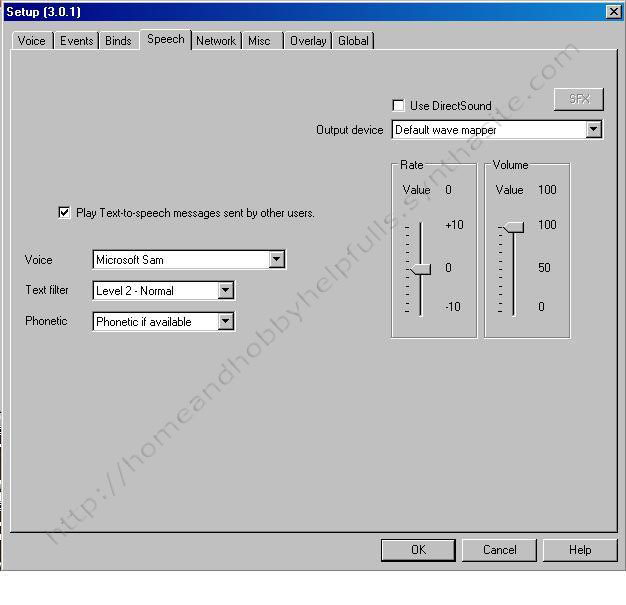 Be aware that sometimes the software that comes with a sound card requires additional tweaking. 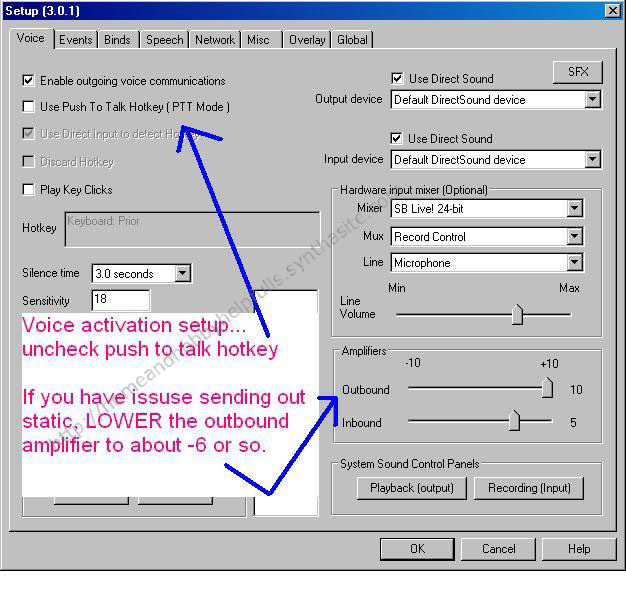 If you have a Soundblaster Audigy, and have problems, this might help. 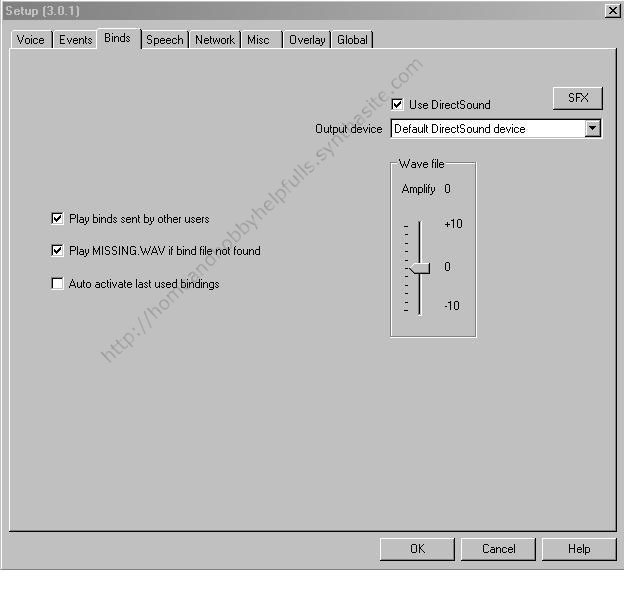 Sound and audio in control panel, audio tab under sound recording, click volume, michrophone advanced tab, check do not monitor. The pics are pretty self explanatory ...just click the right arrows after you start the program to get started..
and here is the info for when it asks for it. 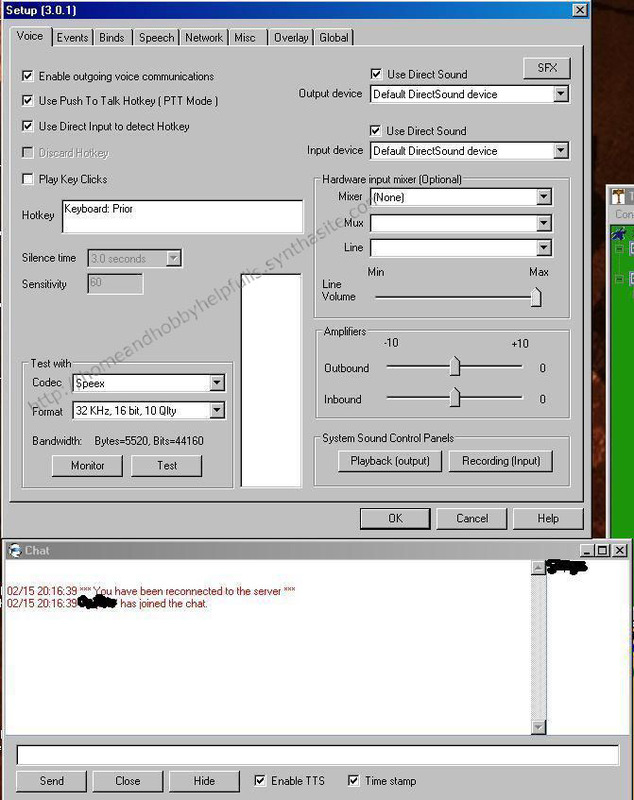 And the default PTT = Push to talk is the left ctrl key, and enter your own info where you need to.